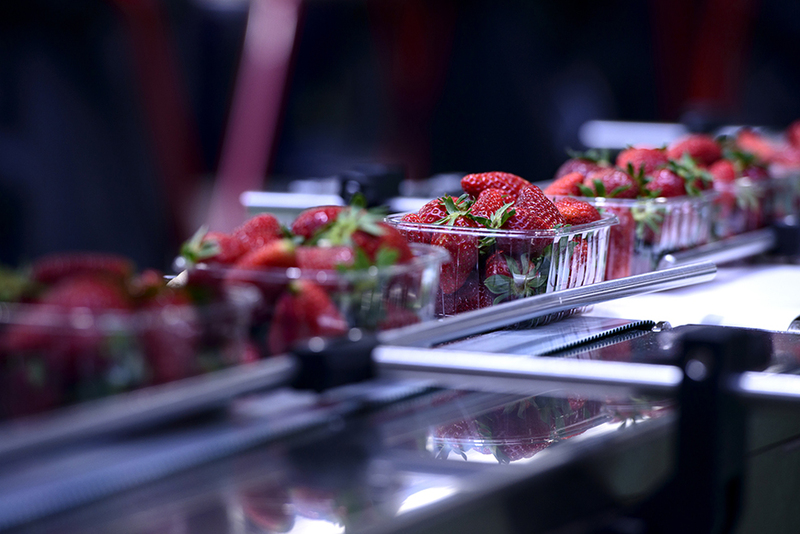 To ensure consumers receive safe food and beverages, the food industry has to meet the highest quality standards - from raw materials to the packaged product on the shelf. Equally high are the demands on the machinery and equipment manufacturers for the food industry in terms of safety, quality, reliability, precision and hygiene. With sheet metal software by Lantek you have all the metalworking processes under control at all times. And much more: The CAD/CAM, MES and ERP software solutions from the worldwide market leader optimize all processes: from quote generation to computer-assisted design, intelligent materials usage and synchronization of production steps, to on-time completion and inventory management. Those that manufacture machines for the food industry usually have a wide range: The standard program of individual solutions for food mixing, centrifuging or spray-drying is often part of a modular system that can be expanded depending on the needs of the customer - to a complete line which manufactures products from raw materials, packages these and places these on pallets for shipping. The contract-related production of such machines or production lines leaves precious personnel and machine capacity in metal companies idle - and generates a lot of residual plates which, in turn, generate an enormous administrative burden. A cross-project and share-related working method on the other hand unites the data of workpieces of the same material thickness and quality from different jobs, efficiently nests these on the plate, uses possible metal residues for the production of standard parts on stock - and in the end unites all parts of the contract together. 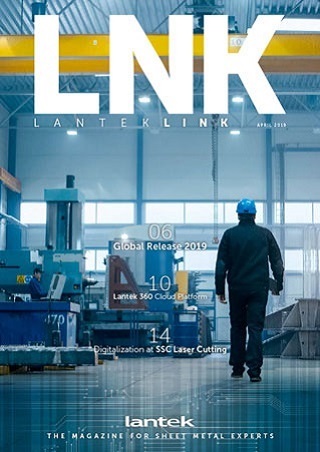 Lantek software tools enable companies to use this method of working, with which they can finish different models, versions and variants at the same time, in order to make optimum use of their system at any time. The comprehensive software portfolio of CAD / CAM solutions with advanced nesting algorithms and machining and products strategies for production management (sheet MES software) and resource planning (ERP) is structured so that companies can accurately find the components that suit their individual situation and their development. Based on the overall assessment of the factory and in close cooperation with the customer, the Lantek IT experts will accompany them on the path to a unique overall concept. Integration mechanisms enable the efficient integration of existing software systems, such as for design or management. With the Lantek Expert and Lantek Flex3d nesting software companies can easily import CAD data and bills of materials - and also create and edit geometries from the PDF files of their food industry customers. Thereafter, the system nests the forms and creates the CNC code for the programing of sheet metal cutting machines (with oxyfuel, plasma, laser or water jet technology), guillotine shears or punching machines. Interfaces to more than 1000 types of machines enables the customer to control a heterogeneous machine park from a single interface with Lantek software and provides them with maximum freedom even in replacement or purchase. Lantek Expert manages the entire machine technology and calculates time and cost per part and sheet. This enables companies to keep their profitability better under control. Users can retrieve parts, production orders, plates and much more from a parametric parts library and an open database. To do this they need to enter criteria such as the material used, the strength, the customer or the date. A plus for quality assurance and traceability of the products that are delivered to customers in the food industry. Thanks to the permanent monitoring of all production processes up to completion, production managers can track the status of projects and the utilization of the machines with a mouse click in real time and ensure that the quality is correct, the production efficiently and cost-effectively run and delivery deadlines are met. Metal stocks in the warehouse can be efficiently recorded with the Lantek Integra software module. If the measurement of the geometry being cut is known, a sample nesting provides exact information as whether there is enough material available or needs to be ordered. The sheets are delivered automatically to the cutting machine. Food processing industry machinery manufacturers need not fear expensive production losses if they wish to enjoy the benefits of Lantek sheet metal software: The conversion takes place during operation. In addition, Lantek offers its customers comprehensive support with telephone and remote maintenance and on-site service.